I'm working on an electronics project that estimates the magnitude of a (variable) star using a light dependent resistor. The idea is that a microcontroller with an ADC measures the voltage across the LDR (which forms a voltage divider with a 1M resistor), and you use a few known stars to calibrate it. Then you can press a button and it will interpolate (perhaps against a curve) the magnitude of the star. The electronics side of things is going well, but I'm struggling to work out how to connect the LDR to the eyepiece. It would need to be fairly focused so that only the star I'm measuring is included, but also needs to somehow allow me to work out where it's pointing. My initial idea was to use a small convex lens, projecting the star onto the LDR (which is a little circle or diameter ~5mm). However, I was wondering whether there was a better way to do it, perhaps before the eyepiece. I have a cheap 3D printer, so I can make custom parts if I need to. At the moment it's more of a concept, and I'm still unsure as to whether the LDR will be reliable enough at such low light intensities. Hm, not sure if it will work. Problem is with 5mm sensor diameter. You will get unreliable readings, and this will depend on type of scope you are using. You can use sensor at prime focus of telescope (no need for eyepiece to do projection with). If you focus it perfectly, star will be nothing more than a single point compared to size of sensor, and its size will depend on focal length of telescope. This in itself is not such a big issue - main issue is that there is no star in the sky that will fit alone on such sensor - there will inevitably be other stars whose light will hit sensor also. 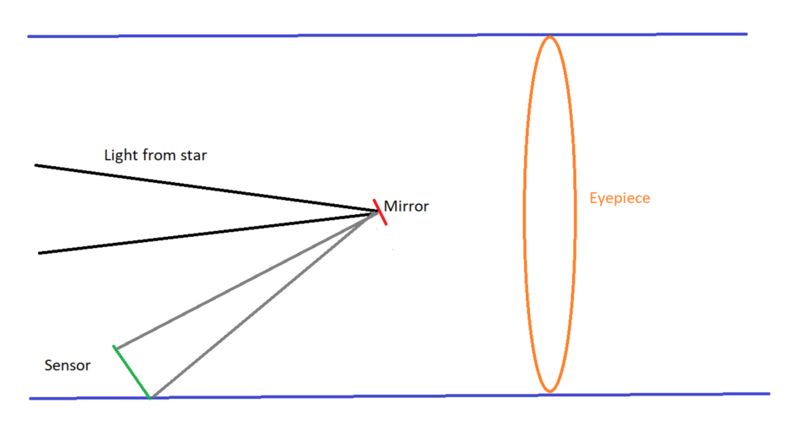 Other thing to try to spread light over sensor is to defocus star - this will solve "pinpoint star" but it will not solve other stars near by - you will simply spread light of each star into circle and they will overlap (with slight offsets to their centers - that of angular distance between stars). Next thing that you can try is eyepiece projection - but in effect this is pretty much the same as prime focus, except that it will change total focal length of the system - again stars will be too small to fit sensor and multiple stars will inevitably fall on it. Only way to achieve single star on sensor is to use ridiculous focal lengths - one such that it will spread whole star profile over 5mm. This will get light from the star onto sensor and minimize chance of other stars polluting your measurement. Two are related by tangent trigonometrical function tan(angle) = radius of sensor / focal length so you would need focal length of about 257.8 meters to get this. That would be very very very large scope (about five times longer focal length than Hubble), even in folded design. You would also have problem of mounting it and keeping star centered on your sensor. Probably best way to do it, and it's not going to be easy is to get 5-10um optical pinhole which you would place at focal plane of suitable telescope. Next you would need a lens that would re - image this pinhole to cover your sensor (simple lens will do since you don't need to worry about chromatic aberration - and it will be on axis application). You will however have trouble of placing the star on pinhole and tracking / guiding telescope in that configuration. Don't worry - that might sound complex, but people doing spectroscopy are doing just that - most center star on slit that is about 10-20um wide and guide their telescope to keep the star there. 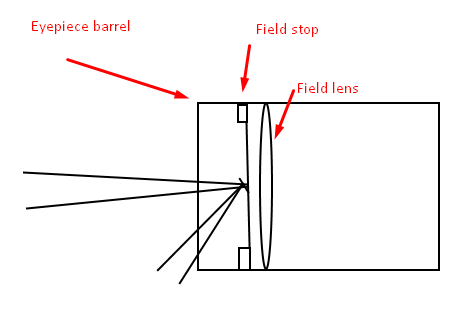 There are even some models of spectroscopes that have pinhole instead of slit - these use optical fibers to guide captured light to instrument instead of mounting instrument on telescope - so yes, this last configuration would work, but you need to sort out technical details (how to get wanted star centered on pinhole and how to keep telescope precisely tracking while you measure). Btw, if you want proper measurements of magnitudes, you need to account for at least two things - use of filters with your setup and measurement of sky brightness. Both should be fairly easy to do. Make sure your pinhole assembly uses some sort of standard scope connections - that way you can use standard 1.25" or 2" filters before it in optical train. Measuring sky levels is also easy - you need to point your scope to empty sky patch - where there is no stars and do measurement that you will subtract from your star measurement (it needs to be fairly close by to have equal sky background). In addition to the problems noted by Vlaiv, photoresistors are both wavelength and temperature dependent. You will therefore need to control both to get consistent results. Also they are non-linear so you will need very closely matched comparison stars ( both in brightness and proximity ) to your variable to get good results. To be useful to the variable star records you will need to be comparable to the use of DSLR's where measured brightnesses are now quoted to the 3rd decimal place. I am like Vlaiv, not sure this will work other than as an exercise in electronics. Thanks for the advice. Precision pinholes look pretty expensive, so I would either have to make something or try a different method. One option I was considering was to allow other stars to be recorded by the sensor, but take a series of measurements as the stars cross the sensor, so that some clever software can estimate the magnitude of each star somehow. As you say, this is definitely more of an ambitious electronics project than an astronomy project, and if I were to submit my results to AAVSO, then I would do it as a visual estimate and only if I agreed with the results. The temperature dependency of LDRs shouldn't be too much of an issue, as I'll be measuring the calibration stars from the same FOV as the estimated star. The wavelength dependency could cause some problems, though perhaps not much more than a visual estimate. I could use a red filter to ensure my measurement are consistent I suppose, if it turns out to be a problem. I don't think wavelength dependent sensitivity is an issue - after all, CCD/CMOS sensors have sensitivity that depends on wavelength - this is what filters are for - isolate region where you can model wavelength dependency and do transform to compensate. Non linearity might be a problem - you need to measure it and create transform to make your measurements linear. Drift method won't work. It could work if you had limited number of stars in each direction. This way you could sample the change vs drift in multiple directions (this is needed because star locations is 2d). Problem with this approach is that you don't have a base line in every direction - patch of sky with no stars to begin with and end with. Your baseline would always contain some stars and their contribution. Actually, when I think about it, no need to do it in multiple directions, drift method will work if you can find two patches of clear sky to cover 5mm (again something very difficult I would say - both in finding such patch and making sure you are centered on it) and let your sensor drift between the two. If you have catalog of stars on your trajectory and have good "speed" curve (like constant drift) - by examining output / time curve you could measure all stars in your path relative to each other as long as there is no pair of stars that both enter and exit FOV at the same "interval" (does not need to be exact moment - it just needs to be within sampling interval). And that is interesting programming project on its own - matching star positions vs drift path and examining sampling curve and it's stepped shape (each time star drifts onto sensor output will jump up by some mount and when it exits - it will drop by some mount, and you would have a "running" total at any given moment). Again - pointing accuracy issues and putting scope at exact place in the sky. This does not need to be complicated - but involves more equipment and bits - either beam splitter or OAG type of device and secondary camera to guide setup to location and keep it there (or make sure you are drifting at constant rate - or to record drift rate by examining star drift rate). Re. Sky brightness reading. Couldn’t you let it drift across the relevant part of Sky for a degree or two, then take the lowest reading? It is likely that this device will go through multiple iterations and likely that there will be situations where it can’t take a reading. i.e. when there are too many close stars. I’d consider using two eyepieces one to be focused sharp to find and position the star. The second with spacers to give your defocused star consistently. Let it drift and take the max reading (the image being fully on the sensor). I suppose it depends how small I can get the sensor's FOV - if it covers 30', then you will always have enough stars to give you a significant offset. I could, perhaps, use the data to estimate the star density and magnitude distribution in the region, then use the standard deviation or something like that to predict the sky brightness. I'm sure I'll think of something. What do you mean by 2 eyepieces? So their interchangeable, or do you mean that I should use binoviewers? I don't have any binoviewers, so that could be a problem. I've measured the LDR, and I reckon the actual sensor bit is only 2mm*2mm. Can I just use the formula @vlaiv gave in his first response: tan(sky radius)=sensor radius/focal length? That would give (for a scope with FL = 1200mm) 2.9 arcminutes. Would this not be small enough? This finder chart shows a VS in Cassiopeia (which is usually jam packed with stars), with FOV 9 arcmins and magnitude limit of 14. If you shrunk that down by 3 times, you would only have one additional star in the sensor. Also, if the star being measured is, say, magnitude 9, then the 14th magnitude star will only have a light intensity of a 1/100th of that of the M9 star, due to the logarithmic nature of the magnitude scale. All I would have to do is subtract the sky brightness (or maybe not, as it could be cancelled out by the calibration stars). If I positioned the LDR before the eyepiece, then it would form an obstruction, and to measure a star I would just have to position the telescope such that the star is hidden by the obstruction. Would this work? I hadn’t thought of binoviewers. That would make the whole thing easier. It occurred to me that it would be difficult to achieve a consistent defocasing of the star and thus import error. We can achieve focus; so you have your focussing eyepiece with which you get to the sharpest focus you can. Don’t touch the focuser. Then swap in the second eyepiece which has spacers (collers) added, so that it is out of focus by the required amount. This would make the process repeatable. Like the obstruction idea. No idea if it would work. So your value of 2.9' is just "radius" of sky covered (or actually half of one side). So if you are prepared to accept few percent of error - I guess that this could work, but here is another idea - you don't need to go for precision pinhole - we have just seen that there are small number of stars of interesting magnitude in such region - and this is 2x2mm - how about making smaller hole? One that would have diameter of 0.5mm or so? That should not be hard, maybe you can even go with smaller opening. You might not even need lens behind it - just careful positioning of the sensor. It would depend on sensor efficiency with respect to incident angle - if variation is small compared to other errors - you can use it like that. You would need to calculate sensor distance based on F/ratio of scope beam and size of opening. Maybe not the full distance because then you would risk getting some light not being on sensor if wanted star is not at exact optical center. On separate note - what would QE efficiency of such sensor be? Does it do integrated measurement or does it output of "current" levels of light. How much light do you need for it to register it (what is read noise floor)? For calculations, you can use following data: 800,000 photon/s/cm^2 on top of atmosphere. You can get usual atmospheric extinction values online (in magnitudes) depending on aerosol optical depth, height of observing site and rest. Do you know optical throughput of your system? Mirrors have between 94% and 99% reflectivity based on coatings used (94% regular, 97% enhanced, 99% dielectric). Lens are above 99% per surface if properly coated. You will need this to calculate possible error of measurement - remember photons come in packets - its not continuous flux, so when we come to "photon counting" regime - Poisson error must be taken into account. This will depend on integration time (is sensor capable of longer integration at all?). Just to add, above is 880,000 not 800,000 (that was typo) - and this is for 0mag source in V band. Good point, I hadn't thought about that. LDRs tend to have a VERY slow response time - when I was doing some tests, it would take about 2 minutes for the resistance to reach a stable value after turning the lights off. It seemed pretty sensitive - a fairly dim LED would cause the voltage output from my circuit to increase my an easily measurable amount even from 1m away with the LED facing away from the sensor. I'm not sure about the QE, but if I add in a small capacitor it should smooth out any wobbles caused by the Poisson effect. Not sure if it can be done with modern eyepieces - or it might with some particular design. 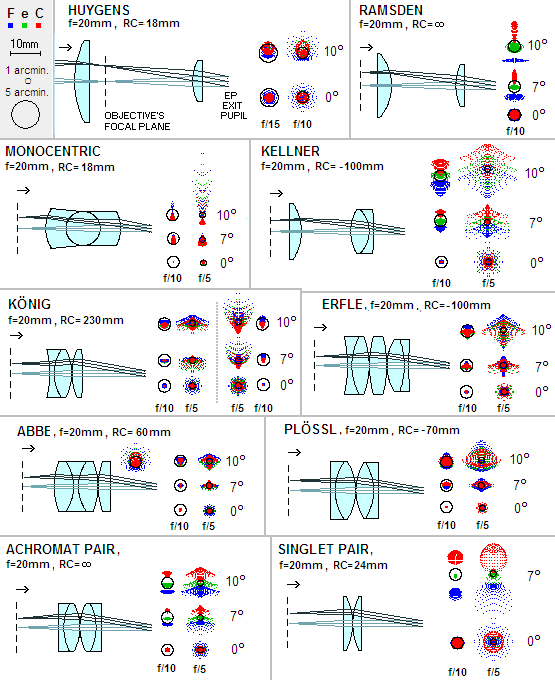 Modern eyepieces often have lens in front of the focal point. Some simpler designs have "regular" focal point - but also have piece of them at exact focal plane - field stop is usually located there. This can actually be advantageous - you can use field stop as support for "spider" that holds mirror - only problem with this is that mirror needs to be angled and question remains if there will be enough "clearance" between it and field lens. So you need to fashion spider support and place it on field stop (this is how reticle eyepieces work - they have engraved clear glass "filter" - blank placed at focus point) and make sure that angle of reflection clears eyepiece barrel. You also need to make sure you have enough clearance between mirror and field lens. 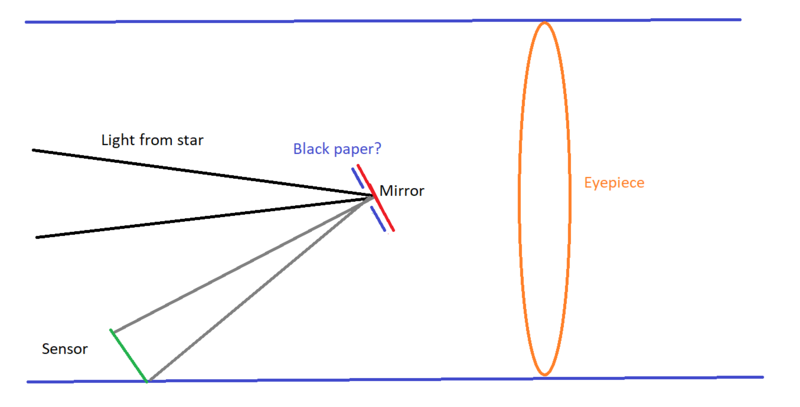 This design calls for mirror to be a part of eyepiece - which has certain implications - since one can remove eyepiece - you have to make sure it can be properly aligned (rotated) so that mirror bounces light in right direction. 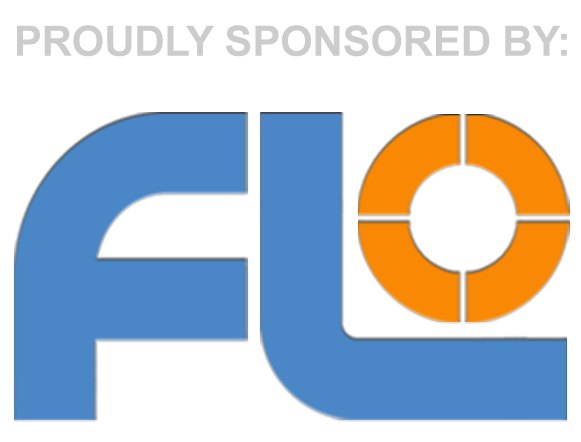 You also need to move whole assembly together with focuser - which would mean that you would need suitable focuser - as eyepiece barrel goes into focuser. 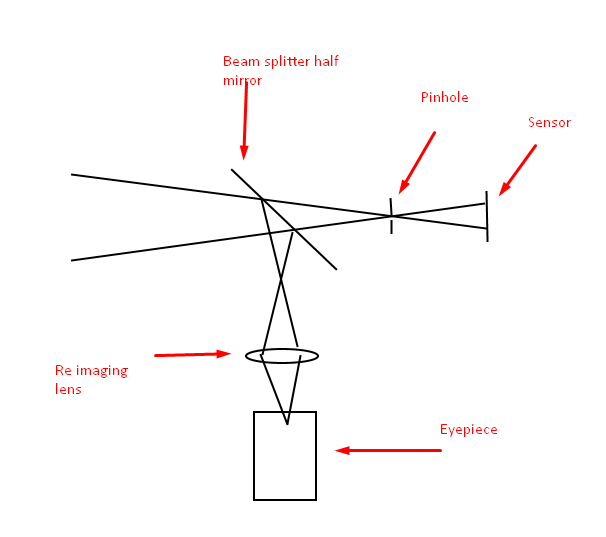 You could probably use some sort of extension - so eyepiece goes into extension and extension in focuser - and extension has "hole" in it where sensor is mounted (and you took care of any light leak that could skew results). If you want to use eyepiece / guide camera - you can "guide" on full beam - you just need beam splitter mirror (like polka dot or something like that with 20:80 split ratio - you can go with 50:50 but you want more light on your sensor then in eyepiece). Again half mirrors are not cheap and you need to split the light between sensor and eyepiece / guider - so both will "suffer" lack of light compared to "normal" use. I'll test my Vixen NPL, and if that won't work, I can just use a cheap plossl. If I go down that route, it would probably be easiest just to glue the mirror in place, and glue the sensor into a 2"-1.25" adapter, and make marks on each so I know how to match them together. Having said that, when you do the calculations the sensor doesn't need to be that far back from the mirror - only a couple of cm, so it might be possible to integrate that into the eyepiece itself.